Please allow 2-3 weeks for returns/exchanges to be processed and up to 5 weeks for MLB/NCAA exchanges. Once your items are inspected by the store, you'll get your refund typically within 48 hours. johnnie-O will gladly accept returns of any full price, unworn, unwashed merchandise for a full refund or exchange within 60 days. 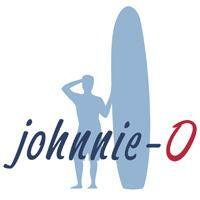 johnnie-O will not accept any merchandise from third party retailers (unless purchased at a johnnie-O store). Please allow 2-3 weeks for a refund of your purchase. ﻿johnnie-O does not accept returns on international orders. Final Sale items will not be eligible for a return.